In her ruling that the Trump administration must continue the Deferred Action for Childhood Arrivals (DACA) program, Ninth Circuit Judge Kim McLane Wardlaw makes several false or misleading statements intended to portray DACA recipients positively. For example, despite acknowledging on p. 29 of her opinion that DACA recipients are allowed to have a limited criminal history, twice elsewhere (pp. 21 and 69) she claims that they have "clean criminal records". That description is rhetorically useful, but it's not the truth. One wouldn't expect a judge to prioritize the former over the latter. The problems do not stop there. Here is how Judge Wardlaw introduces the DACA program, with my emphasis added: "Recognizing the cruelty and wastefulness of deporting productive young people to countries with which they have no ties, the Secretary of Homeland Security announced a policy in 2012 that would provide some relief ..."
"Productive"? DACA does not require gainful employment, nor does it require a high school diploma, nor does it require English ability. Furthermore, most DACA recipients probably do have ties to their birth countries, as they could be as old as 15 before leaving, and they likely have relatives still there. These young people with "no ties" to their birth countries were even allowed to have made brief return trips before applying for DACA. 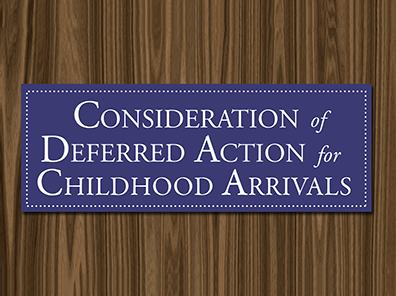 The judge continues: "Known as Deferred Action for Childhood Arrivals, or DACA, the program allows those noncitizens who unwittingly entered the United States as children ... to apply for two-year renewable periods of deferred action." Some did "unwittingly" enter the United States, but certainly not all. Again, DACA recipients could be as old as 15 when they moved here. Supporting DACA is easier when recipients can be described as law-abiding, productive, living here through no fault of their own, and unconnected to their birth countries. But that's not what DACA requires. If the program's architects wanted to describe recipients that way, they should have imposed those requirements in the application process. They did not. Instead, they allowed DACA to cover a much broader group of illegal immigrants. If we really need a rough description of that group, "young people who arrived before their late teens and have not done anything egregiously bad" would be much more accurate than what Judge Wardlaw and other activists have offered.